Christina: What is that awful smell? Russell: Rotting vegetables - it's in the trash. Christina: Why do you have rotting vegetables? Russell: I forgot some vegetables in the back of the fridge and they went bad. I think they were in there for like 6 months. Some of them turned black. Christina: Why don't you take the trash out so the smell doesn't get worse? Russell: You know, that's a good idea. Meaning: When something "goes bad," it means that it becomes rotten, evil, or bad in some way. 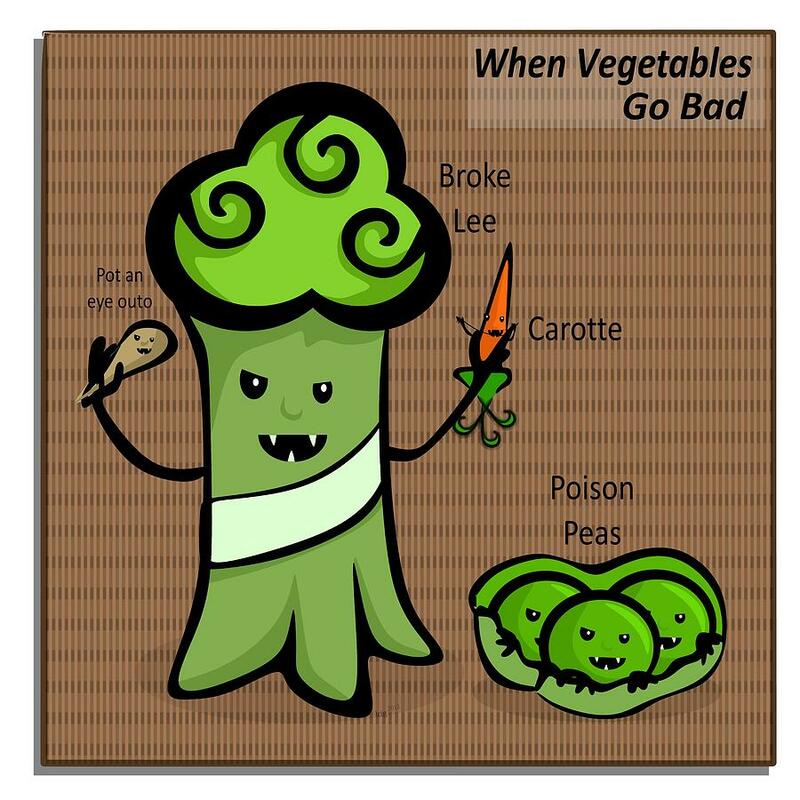 The most common use of the expression is the one above, when describing food that was good but has "gone bad" and become rotten or stale. In the example above, Russell says that the apples "went bad" because he left them in the fridge too long. In addition, "go bad" used to be commonly used for once-good people who started doing bad things, such as criminals. A college student who started selling drugs might have been referred to as "a good boy gone bad" in the past, although many people would now laugh at that usage for being old-fashioned. This meaning is also the basis of the expression "break bad," which is used to describe a person who has chosen a life of crime. This expression is a regional expression, which means that only people from a certain place commonly use it, but the expression has recently become famous thanks to the popular television show "Breaking Bad," which is about a High School Chemistry teacher who started making illegal drugs. John thought he could afford to go skiing when he saw cheap rates for hotel rooms - only $59 a night! He started to make plans with his friends, but then he realized those rates were for the off season. During the time of year that there was snow, the rooms were over $200 a night! That's too expensive! David: Hey Chuck, what are you doing after work tonight? Chuck: I'm going to the gym. I've got to stay in shape for my basketball league. David: But basketball season ended a month ago. Can't you take some time off? Chuck: I did last year, and I was really out of shape when the season started. This year, I've decided to do some off-season training to make sure I'm ready when it starts. David: Wow, you're really dedicated. In this case, Chuck is doing off-season training to make sure he stays in shape even though the basketball season recently ended. Notice that a hyphen is used when the phrase is used as an adjective that comes before a noun; this is to make sure the reader understands that "season" is not a noun but part of an adjective. Note: While "off season" would seem to be the antonym of "in season," the two are actually used in different (and possibly confusing) ways. While "off season" is used for activities and sports, "in season" is used for foods that are available for limited times and times that certain animals can be hunted. Strawberries and duck hunting can be "in season", but you would not say they are "off season" when not available/legal; instead, you would say they are "out of season." Conversely, skiing areas and basketball can be "off season," but you would not say that skiing or basketball is "in season."